“Spark Seeker” is the most impressive Jewish pop album to date, unless you consider Barbara Streisand or The Beastie Boys as Jewish pop artists. Matisyahu and Kool Kojak (Nicki Minaj, Travis Barker, Ke$ha) take the listener on a sonic trip through the middle east blending ancient traditional sounds with Top 40 style synths and electro pop, spoken word, Rabbi’s singing and hard hitting beats. The featured guests on this record bring elements that haven’t been introduced to Matis’ music in the past. Ravid Kahalani of Yemen Blues sings in a heavy Arabic accent delivering the most middle eastern sounding Matisyahu song, reminiscent of Matisyahu’s “Two Child One Drop” which featured Yehuda Solomon of Moshav Band (check that song out on our Sephardic Music Festival CD). Born again Bad Boy, Shyne who recently became ultra Chassidic makes an appearance on two songs bringing a gangsta swag on the level of his Lil’ Wayne cameo earlier this year. The album is one of the most interesting cultural contributions of the last few years, the messages throughout are uplifting and urge the listener to live for today anew, as yesterday is in the past. 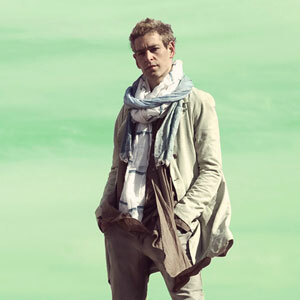 Reinvention seems to be a big theme with Matisyahu both in his music and personal journey. Click here to get the Super Deluxe Album.